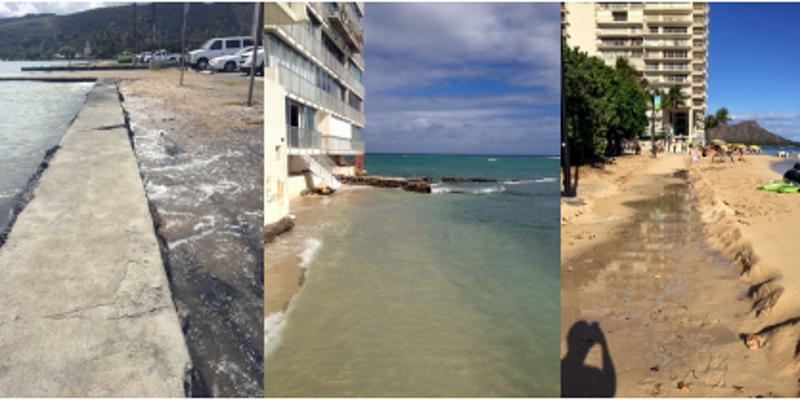 Matt Gonser is with the University of Hawaiʻi's Sea Grant College Program, and he’s working on recruiting citizen scientists, ordinary folks like you and me, to collect data by snapping photos of what happens when the highest of high tides or King Tides meets sea level rise. Is there flooding? Is there erosion? Last year, Gonser recruited 60 citizen scientists contributing over 500 photos during two King Tide events. But continuous data collection is needed when it comes to observing the combined impact of natural or cyclical changes like King Tides and sea level rise, which Merrifield says is subtle. 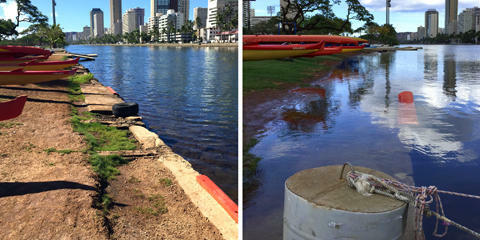 King Tide impact observed at He'eia Fishpond in Kāneʻohe, Oʻahu.